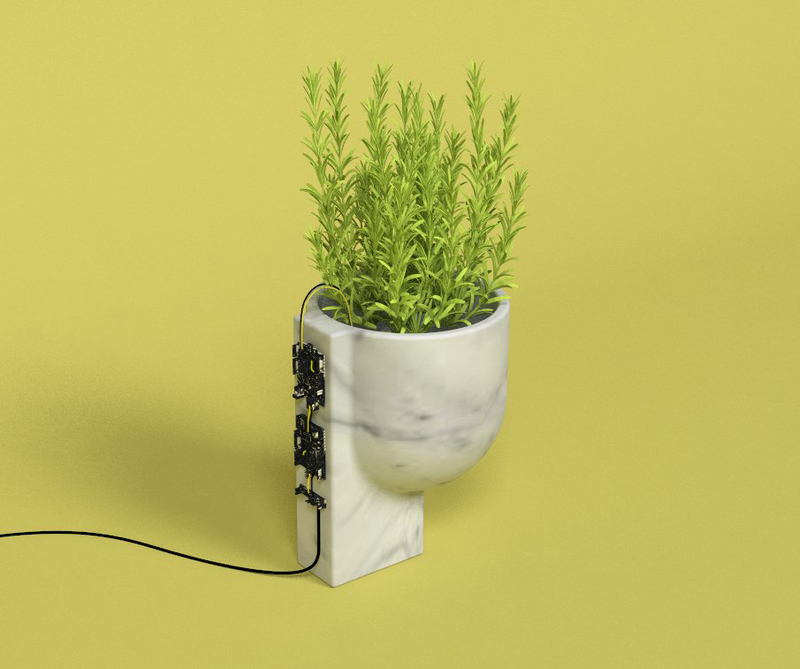 Robots pave the way for an alliance between electronics, informatics and marble – thus redefining the identity, the use and the aesthetics of design objects. Claudio Larcher’s and Filippo Protasioni’s 2018 can be summed up in one word: reversal. Reversal of aesthetic conventions. The duo – an architect and a designer, respectively – lays bare our deeply-engrained habit of masking, concealing and protecting things: every secret reveals itself before our eyes. What is revealed is the electronic components that enable the devices around us to function, which we can compare to internal organs: heart, brain, and liver are displayed on lytic structures that exalt their authentic, rough geometry typical of industrial functionality. 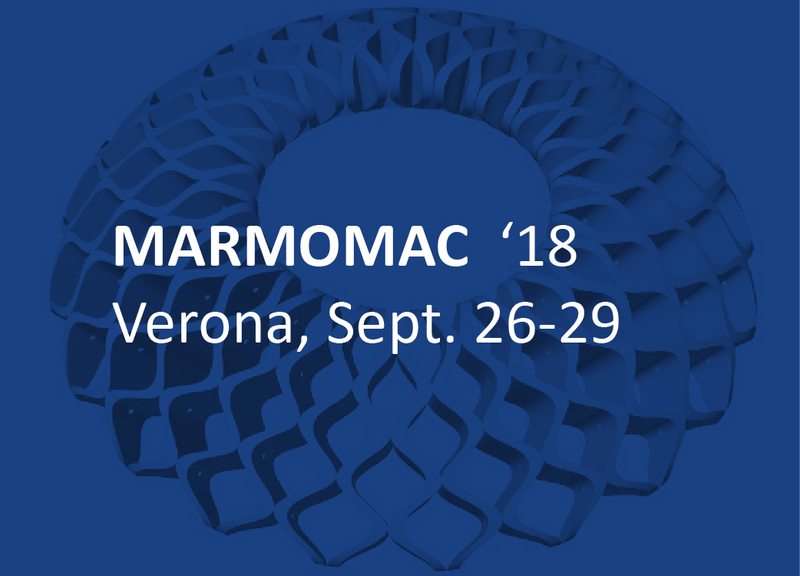 The debut at FutureDome, in occasion of the 2018 Design Week, is the opportunity to show the results that can be achieved with the robotic technologies developed by T&D Robotics S.r.l. and employed by Generelli S.A. in Rivera (Switzerland) to produce these plain marble objects, standing in sharp contrast with the chromatic variety of the microcircuits and the microchips. The preciousness of the materials employed for the transistors, the coloured paints and the words and initials identifying the fruit of constant innovation: all these elements thereby acquire a new significance. The bare electronic components cause a sense of surprise and, at the same time, of reverence: the same aesthetic experience we have in front of a great master’s painting, which we would never dare to touch, or in front of a living organ displayed on the table of an operating room or on the top of a divination altar. FOLIO and SATELLITE, the lamps that switch on with a gesture of the hand, and whose brightness can be adjusted from afar; DE-METRO, the vase equipped with sensors, estimating humidity levels in the soil on its own initiative and telling us when to water the plants; EGO, the mirror of contemporary vanities, measures our self-esteem based on the likes we receive; LUNA PARK the stone joypad that, rather than controlling a videogame, is itself the videogame. These are the frontiers of the 2018 Clique Smart Matters collection, where technological progress, due to its potentialities, acquires magical nuances, giving rise to phenomena whose mechanisms are inexplicable for those lacking an in-depth competence. Design objects produced in marble then, and whose twofold technological element (the robots that produced them, but also Arduino and Raspberry) has the ability to redefine the use of the natural stone in context, updating it to the contemporary world, showing us what the future has in store for it. And so commemorative works give way to elegant objects that represent the state-of-the art in terms of design and research alike. They have the ability to interact dynamically with the space surrounding them and, in some cases, to operate autonomously, carrying out tasks assigned to them beforehand. The market has accustomed us to clocks with transparent cases and dials to show us dozens, or even hundreds, of minuscule gears in action. Since the 90s, by contrast, we have been witnessing a revolution that can be summed up in the word “naked”. Naked are for example those motorcycles with their frame and cylinders in full view, in no need of coverings hiding them. 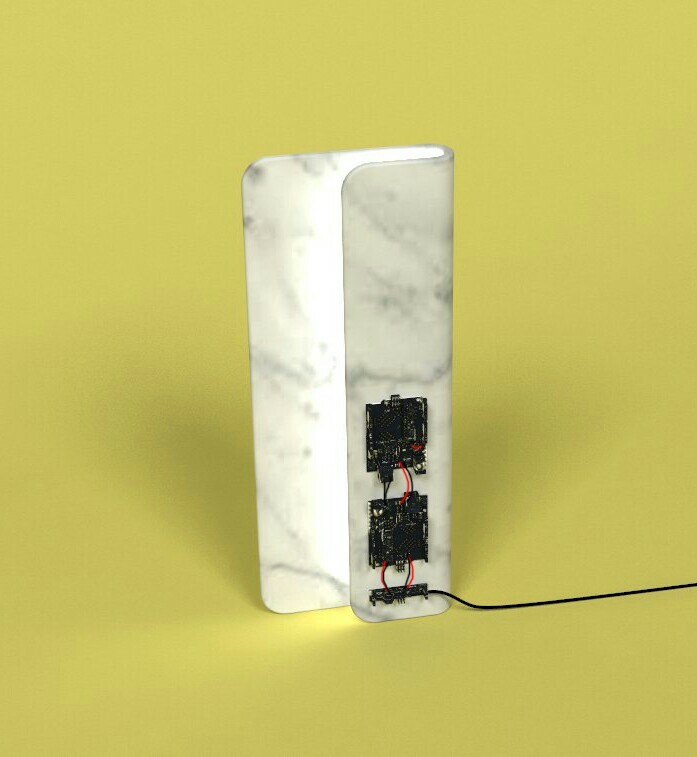 Marble, in the case of the 2018 Clique Smart Matters collection, takes on a similar function: if on the one hand our gaze can reach a heart of steel and gears, on the other hand shiny and coloured electronic elements lend themselves to an act of divination, like an Etruscan altar devoted to the art of the haruspices. Through their relentless activity, these elements allow the viewer to foresee the traits of the future that is awaiting us. A tomorrow where the objects that stud our houses will respond to our desires and replace us in routine tasks, providing us with useful information or making the act of inhabiting a place more comfortable. Thanks to: G. Dipilato, F. Pelagalli, R. Mantelli, S. Kirloskar, A. Pizzuti.